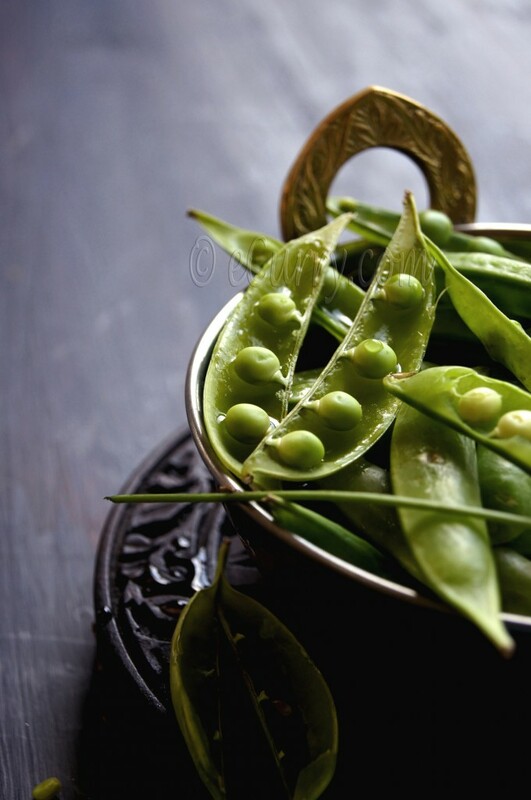 We found fresh peas in the winter time in India. 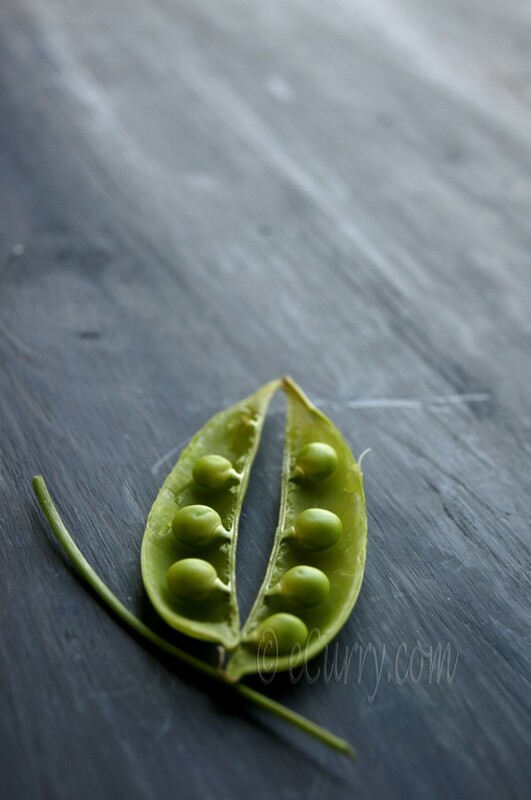 And after my dad came back from the market and dumped out the peas in the basket from the canvas bag that he always took to buy vegetables, I would rush there, squat on the floor and start shelling the peas and popping them in my mouth. The sweet peas filled in the senses delightfully. I simply had no idea about frozen peas for they never did make it to our home ever. Talking of spring, look what we have!! 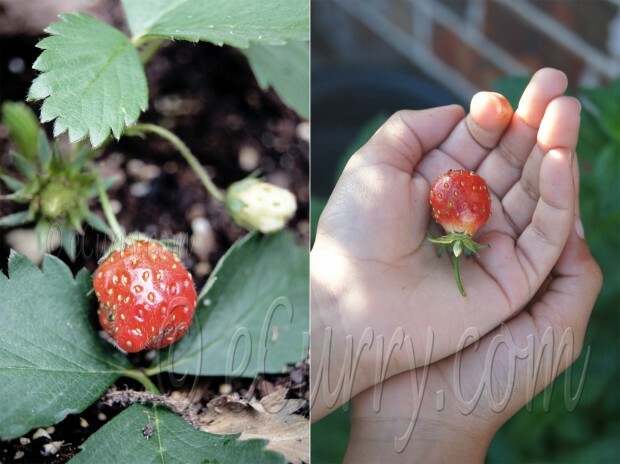 Our very first strawberry. It was so tiny, sized like a blackberry, but the girls happily “shared” their first harvest of the year. 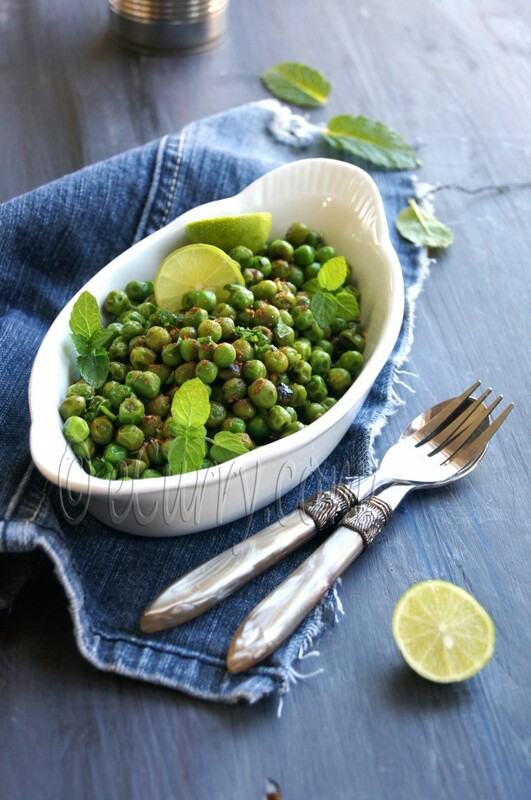 I have written before that I have sweet memories of spending many hours in the kitchen with maa shelling peas. It takes time, but a time well spent amidst stories and talks that I still remember and hold close to my heart. It is not often that we get the fresh peas here. Life revolves around frozen peas, mostly for convenience. But once in a while when we do find them, the excitement in the children reminds me of my childhood. Both my girls love eating raw frozen peas; tiny peas stuck together with all the soft fluffy ice on it. Strange but true. 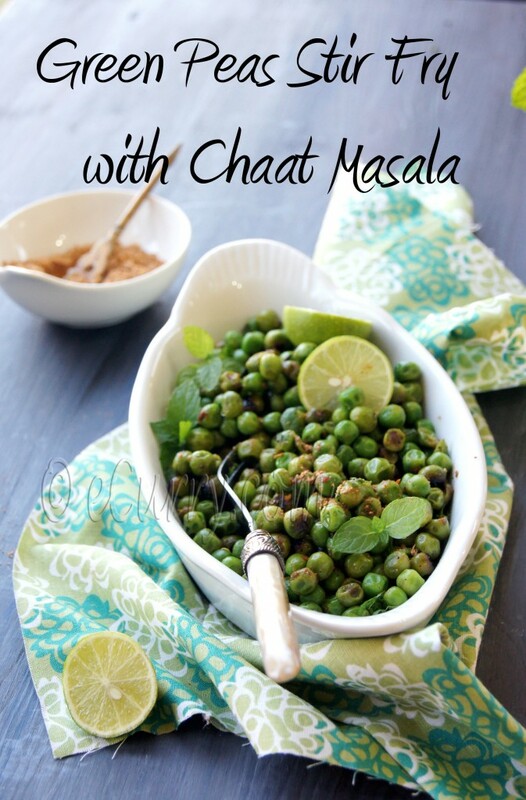 We have tried it and we like it too 😀 We also love the peas quickly made this way. Not over cooked, not mushed, but with a hint of seasoning and some lip smacking flavors. 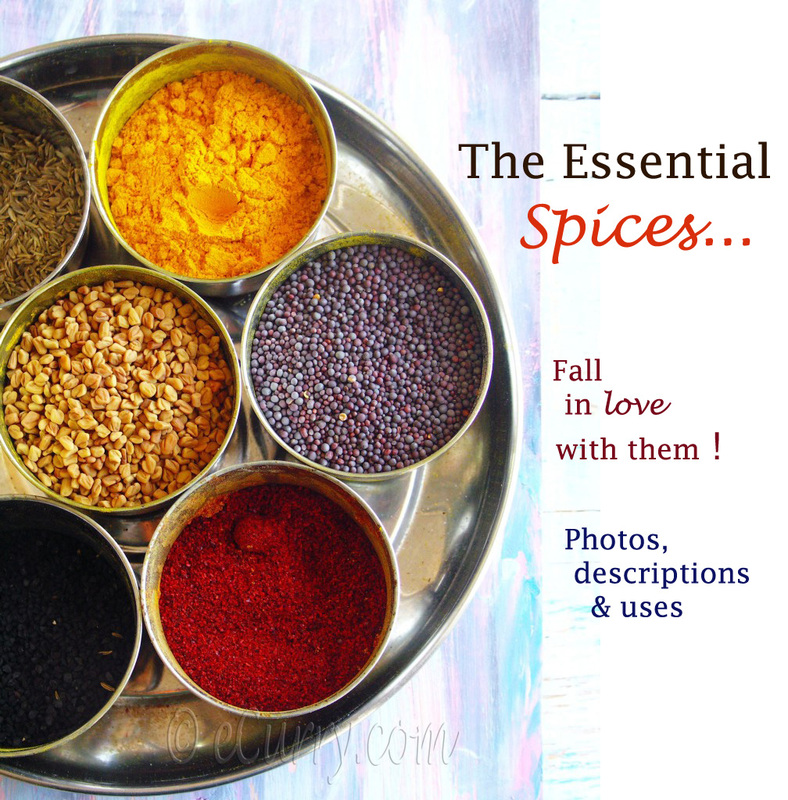 If you are under the impression that recipes with Indian flavors require a lot of ingredients, you are wrong. This is one example (and there are a plenty) of a really simple side dish with very few ingredients. We munch on this more like a snack and even before I set the table for a meal, the peas are usually all gone. 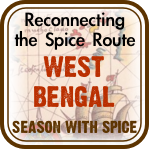 *Note: I have linked the Chaat Masala to the homemade recipe, but this spice mix is easily available in Indian groceries. Heat oil in a pan; add the cumin seeds. When the cumin sizzles (which should be as soon as they hit the pan if the oil is hot enough), add the shelled peas and green chili pepper if you are using. Give it a good toss and allow it to cook in high to medium heat for about 2 to 3 minutes or until the peas are just cooked through but still has the nice green hue to them. Toss/shake pan frequently. 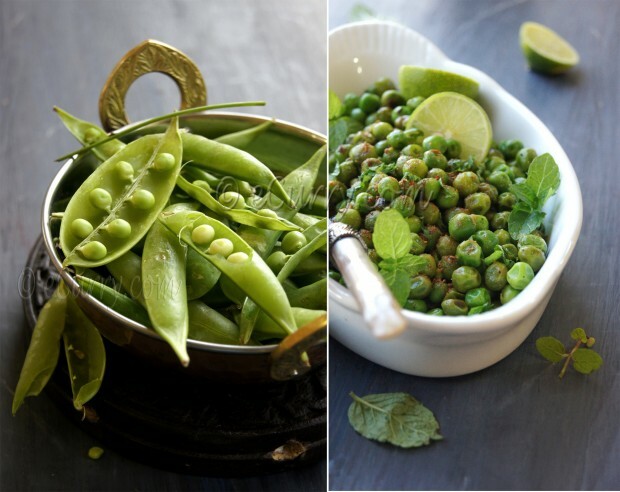 Some of peas might turn slightly brown on some part due to high heat, but it is okay. The trick is to cook quickly but in a way that all the peas come in contact with the hot surface of the pan, like in any stir fry. Watch out for you do not want boiled and mushy overcooked peas here. You should be able to bite through them. Add the Chaat Masala, and give it a good stir. 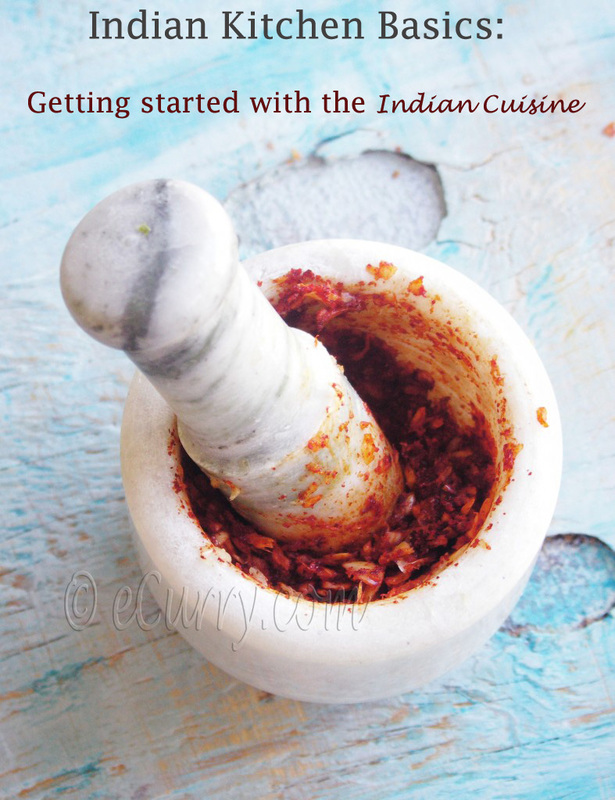 Adjust salt (the Chaat Masala already has some some in it). Remove from heat. Add shredded mint leaves if you are using and toss. Serve hot or warm as a side or snack with a drizzle of fresh lime/lemon juice. Submitted at Fresh Produce Tuesday. looks scrumptious- the chaat. Love your strawberry shrub and the little red berry. A delicious side dish! The flavors are just wonderful. My sons fav ,…:) looks yum,. Love the pictures Soma…I read your guest post on Lubna’s blog and loved it…you’ve explained your photography so well there, was great help, hope to really learn from that post !! Love the taste of fresh peas. When we were in Texas, we used to get them regularly from Whole Foods Market. Beautiful photographs Soma. Amazing! My mouth is watering now! Yum! 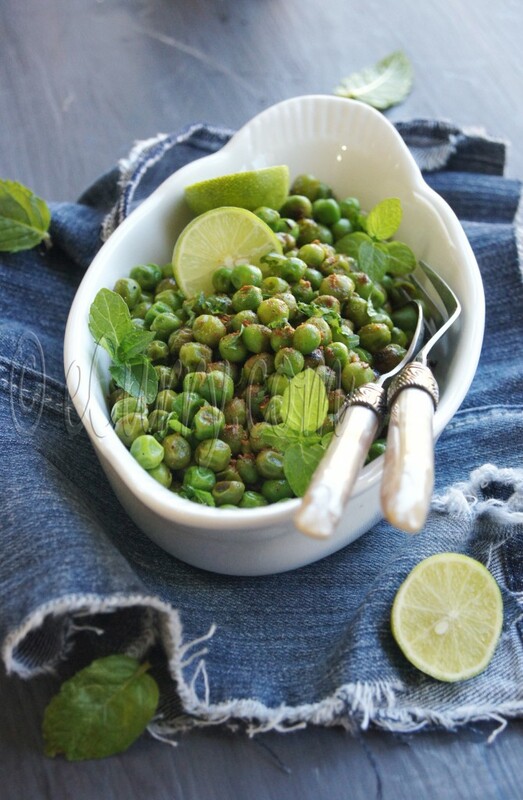 Green peas with chaat masala..such a great idea! 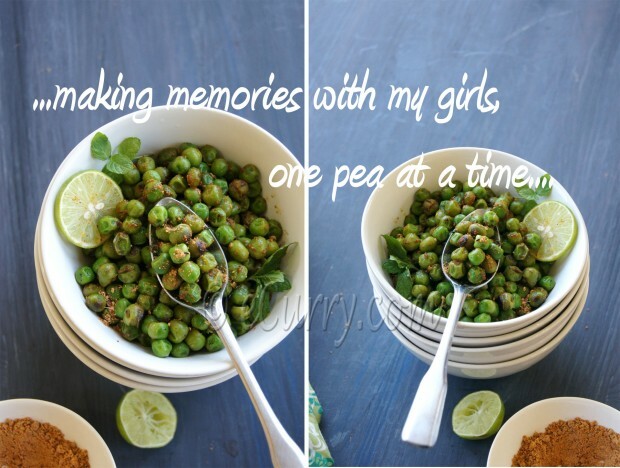 There is something nostalgic abt shelling the peas from pod and I call them pea memories 🙂 love the pics and the recipe. remember shelling peas from childhood days 🙂 the stir fry looks just fab! 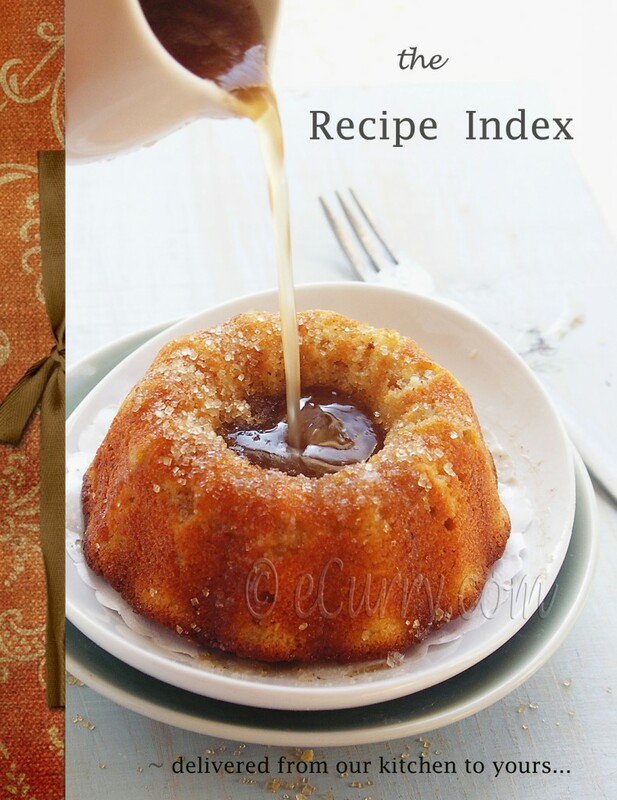 This looks lip-smackingly delicious!! and i agree that indian flavors can be made with minimum ingredients!!! Delicous pictures too!! O that looks so incredibly good Soma! I wish we had fresh peas but I haven’t seen any yet here but I will definitely be bookmarking this recipe for future use. In fact I will be adding it also on De Glazen Vork… I’m sure there are lots of people in Holland that would love to try this.. 😉 Gorgeous clicks too! I especially love the one with the opened pods. Beautiful! 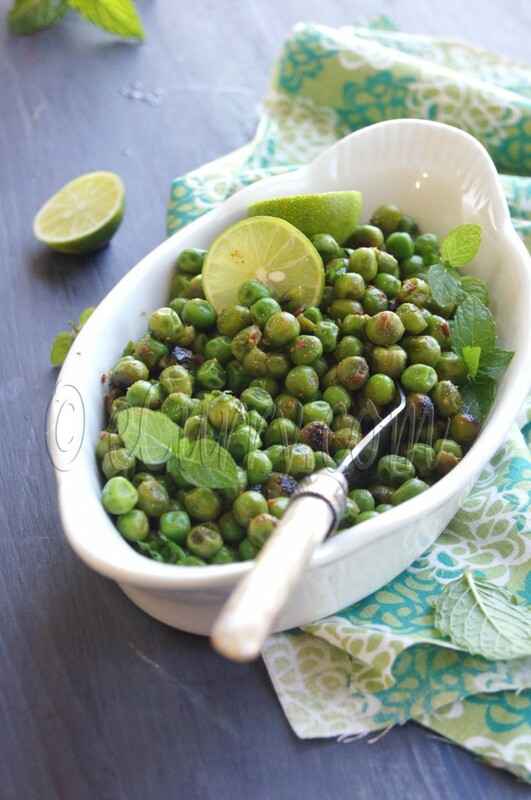 We are hosting a pea-themed linky party over at 2sisters2cities.com as part of our Fresh Produce Tuesday series. 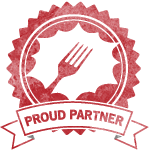 I would love if you linked up your recipe!